Shortly after the news broke, the All Progressives Congress (APC) has expressed satisfaction with the resignation of the Chief Justice of Nigeria (CJN), Walter Onnoghen. National publicity secretary of the party, Lanre Issa-onilu, while briefing journalists at its secretariat in Abuja on Friday, stated that Onnoghen’s action vindicates the party’s call for the resignation of the CJN following the allegations of false asset declaration brought against him. Onnoghen who is facing trial at the Code of Conduct Tribunal for allegations of false declaration of assets, had voluntarily tendered his resignation late Thursday. The Economic and Financial Crimes Commission (EFCC) also accuses the former CJN of receiving illicit payments and bribes from lawyers. 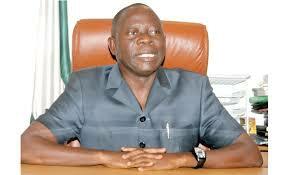 APC said the resignation was a sign that the nation’s democracy is slowly growing and no one is above the law. “Events have proven the party, APC, right. Events have proven those Nigerians who believe Nigeria first and any other things after – events have proven them right,” Issa-Onilu said. “Now, you have seen the head of National Assembly, Senate President, you have seen him in the dock. Now, you have seen the CJN in the dock,” the party’s spokesperson said. “So, one day, we will see a President that will also misbehave, in the dock, which now shows that nobody is above the law of this country that we are all equal before the law. The party said the CJN’s action was not a surprise as it was expected, following the case brought against him. “Nigerians knew from the word ‘cooked’ that those allegations were not cooked up and if they were real, the next thing for the CJN to have done was to have stepped aside and the question,” he said.